Learn more about our fundraising and charity campaigns. 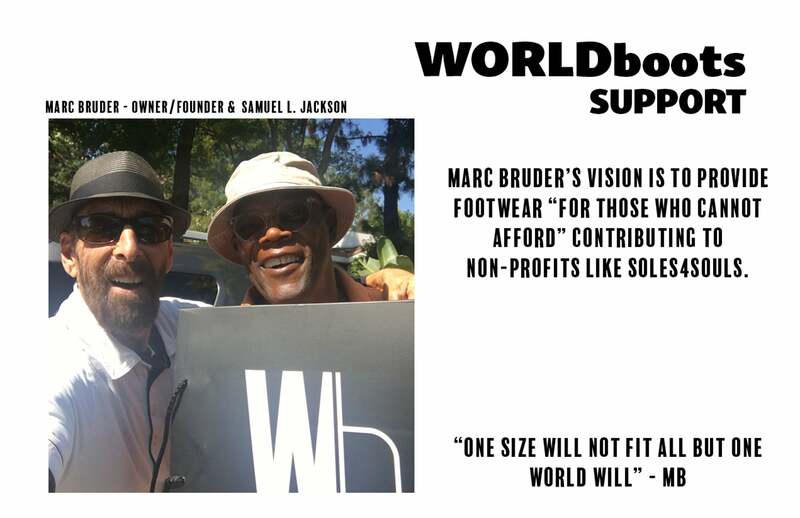 Image: WORLDboots founder Marc Bruder with Samuel L. Jackson. We are proud to support our charity partner Soles4Souls. WORLDboots is a fresh approach to luxury footwear..